Kathmandu Valley only - Nepal No. 1 Travel Partner with Best Tourism Packages. Kathmandu Valley only - Nepal No. 1 Travel Partner with Best Tourism Packages. The Kathmandu Valley is a UNESCO World Heritage Site with a host of ancient architecture and traditional culture in its famous towns. On top of this cultural aspect, the country has some of the best trekking routes in the world ranging from gentle walks to the Everest base camp trek. There is also a choice of river routes to try out some white water rafting, suitable for the complete beginners or the more experienced rafters. Nepal has a profusion of wildlife in some excellent national parks from the popular Chitwan in the lowland Terai, to the lesser visited Royal Bardia in the west of the country. There really is a chance of seeing tigers here as well as the great one-horned Asian rhinos, and the bird watching in some of the more remote national parks is superb. Nepal has a diverse range of ecosystems from lowland sub-tropical forests right through to the high altitude environments of the Himalayas. Some 160 species of mammals and 871 species of birds can be found. There are numerous national parks and wildlife reserves providing unique opportunities to view this exotic and rare wildlife. Arrive Tribhuvan International Airport, meeting and transfer to Hotel Royal Singi – Centrally located 4 Star or Similar. Full day Birding around Phulchowki Hill – Phulchowki (2760 m) is the highest of the mountains encircling the Kathmandu valley. This broad-leafed-sub tropical forest is the richest for birds and wildlife in the valley and remains the most convenient place to see some of the birds that are rare or local to Nepal. Phulchowki lies 18 km south east of Kathmandu above Godawari Village (1525 m). Full day Birding around Shivapuri National Park – The Shivapuri National Park covers the area of 144 sq km which is the major watershed supplying drinking water to the capital city of Kathmandu. Lying in the transition zone between the subtropical and temperate climatic zones, its diverse vegetation is composed of pine, oak, rhododendron and others. The park is rich in wild mushrooms about 129 species in total. The wildlife habitats Himalayan black Bear, Leopard, Jungle cat and Rhesus monkeys. The park is home to over 177 species of birds including 9 threatened species and over 100 species of butterflies including rare and threatened. 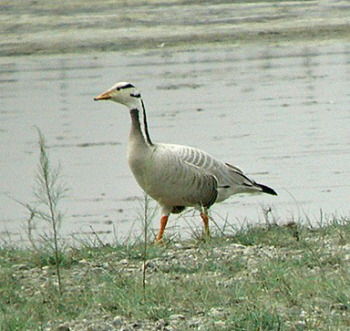 Full day Birding around Nagarjun – Nagarjung is nearest place for bird watching from Kathmandu, with a gentle walk along an easy trail through lovely hill forest. Warblers are abundant and this is a favorite haunt of Blue Whistling Thrush and the eye-catching White-crested Laughingthrush – an aptly named species that once heard is never forgotten! In the evening transfer to Nepalese Restaurant for Typical Nepalese Dinner with live Cultural Program. Due to currency fluctuations and fuel cost we reserve the right to adjust any pricing prior to departure. Convert your tour cost into your currency of choice. Cost Includes: All necessary transfers by private vehicle, Bird watching with Sr. Bird Guide as mentioned in the Itinerary with Pack Lunch and 4WD vehicle, Accommodation in Kathmandu with mentioned or similar hotel on Bed and Breakfast basis, National Park Entrance fees, One Dinner. Excludes: Personal expenses like bar bills, bottled water, telephone calls, laundry, tips etc., Any extra expenses due to natural causes.